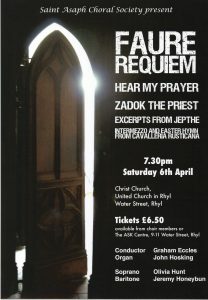 St Asaph Choral Society is a registered charity whose aim is to enjoy singing and performing both sacred and secular music. There are no age restrictions on joining the choir and no auditions to join. 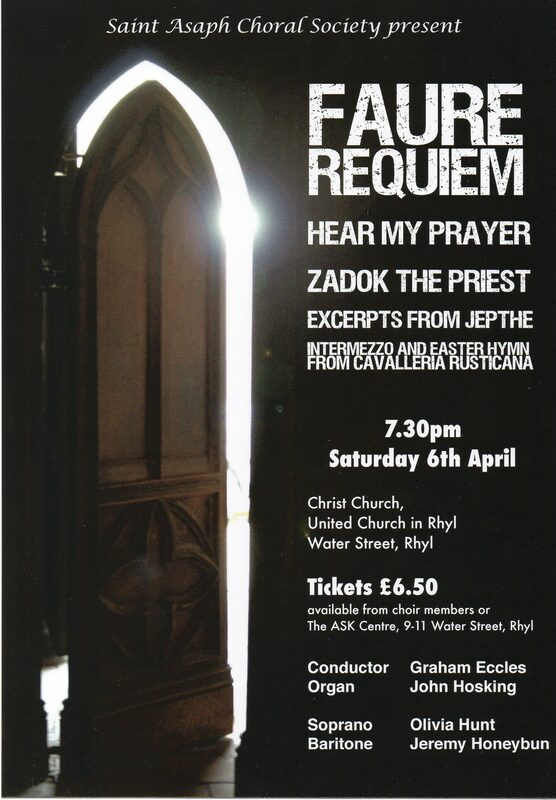 New members are always welcome especially those with a love of choral music.